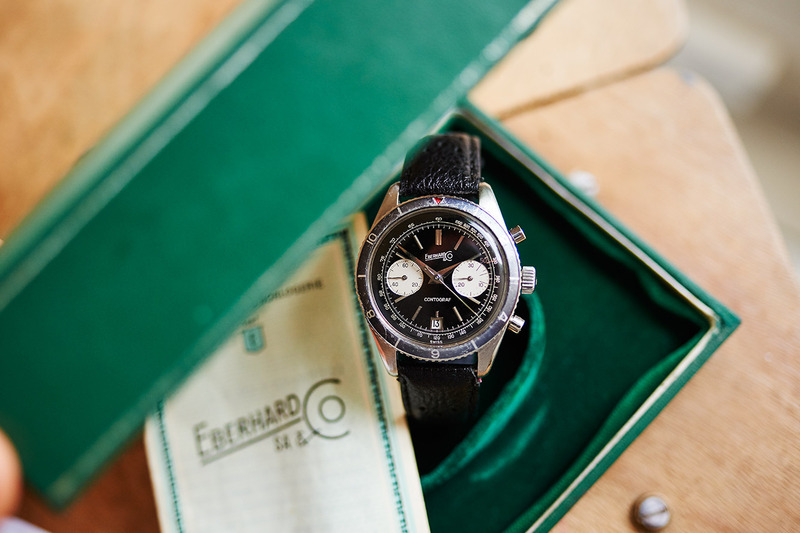 Refernce 14901 MK1 from 1962 with original Box and Papers. 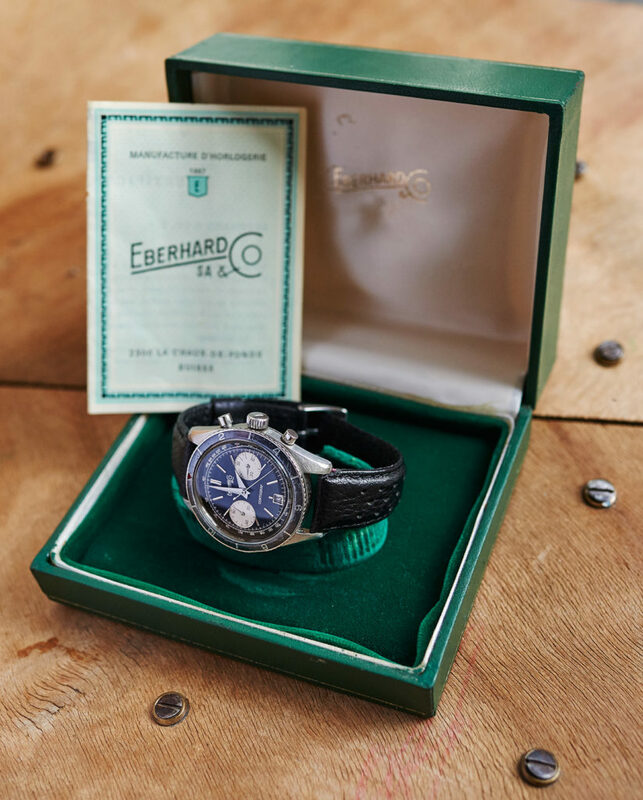 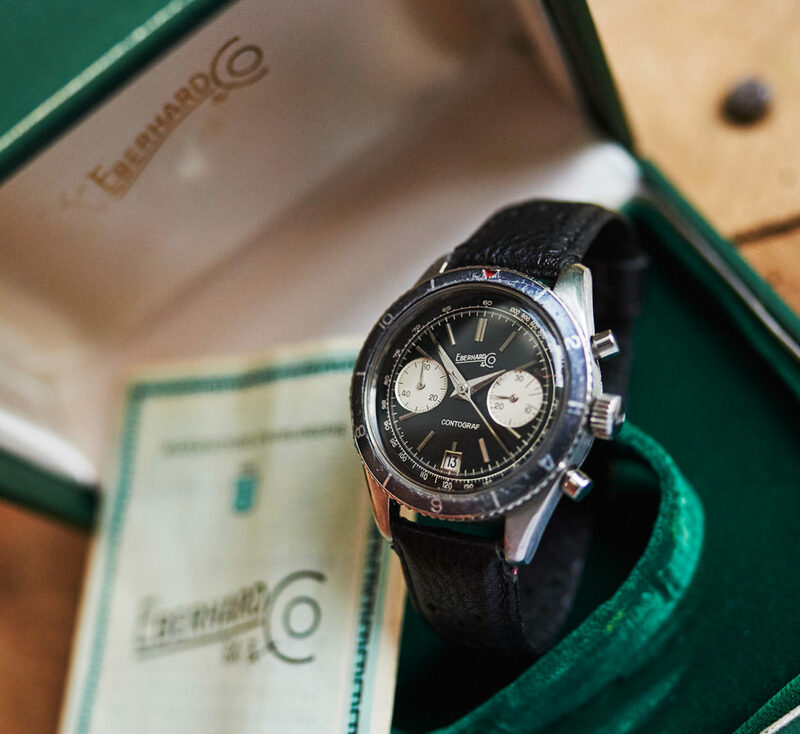 These watches are not seen very often on the open market and belong to the short list of grails when it´s about midsixties collectorswatches. 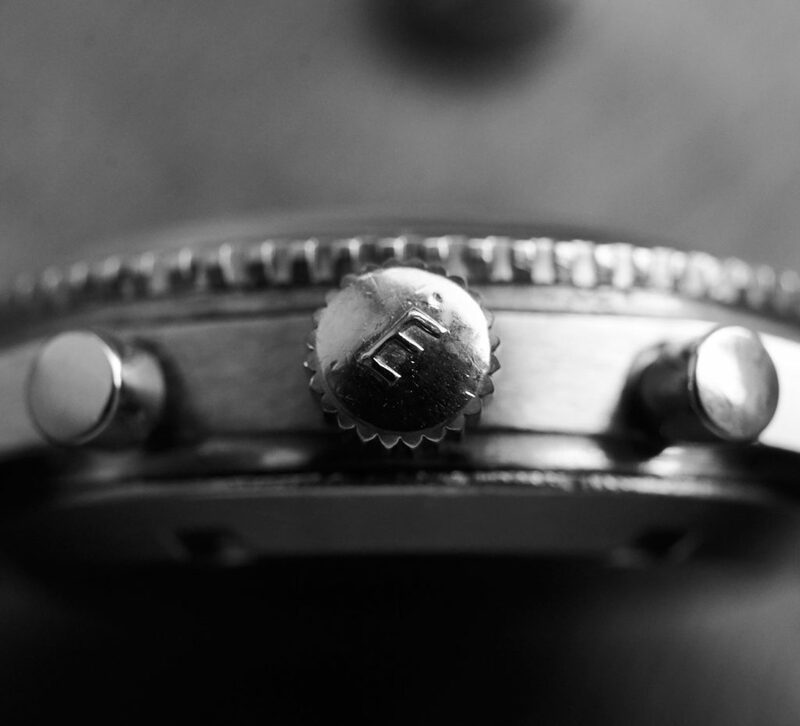 This piece here has still a very fat and beautiful shaped case with the original bezel on it, which is more an exception on todays seen Contografs. 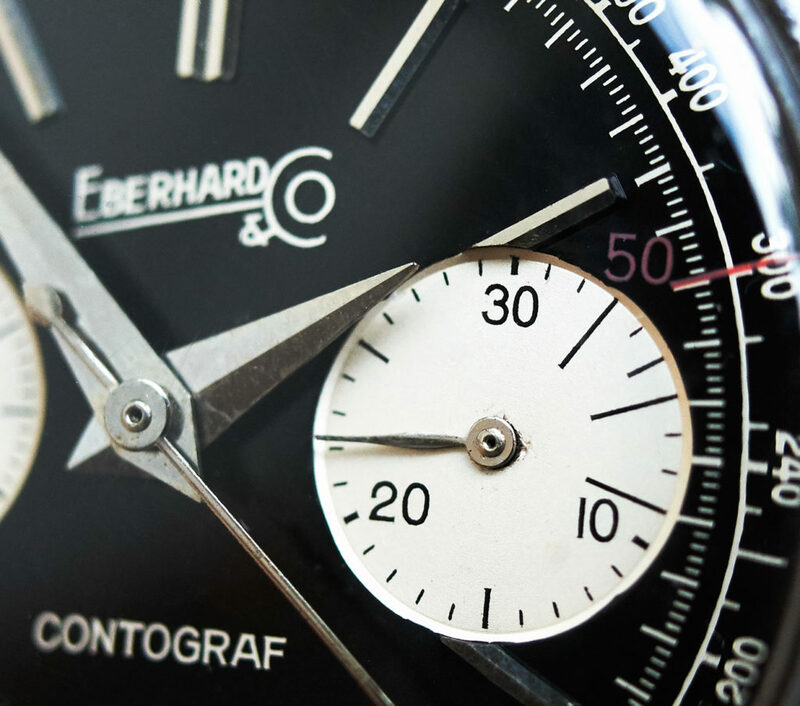 Most of them have servicebezels. 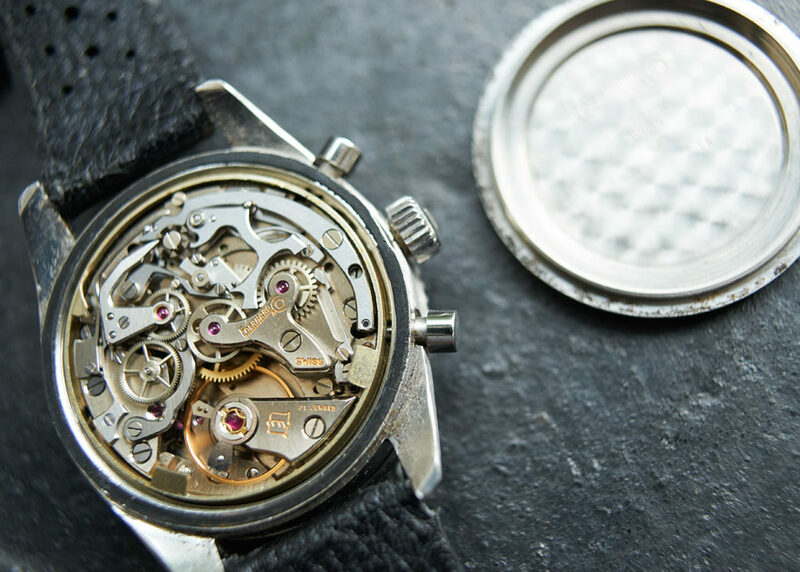 The beautiful glossy giltdial and the hands are in stunning original and flawless condition which is absolutely uncommon for such an old watch. 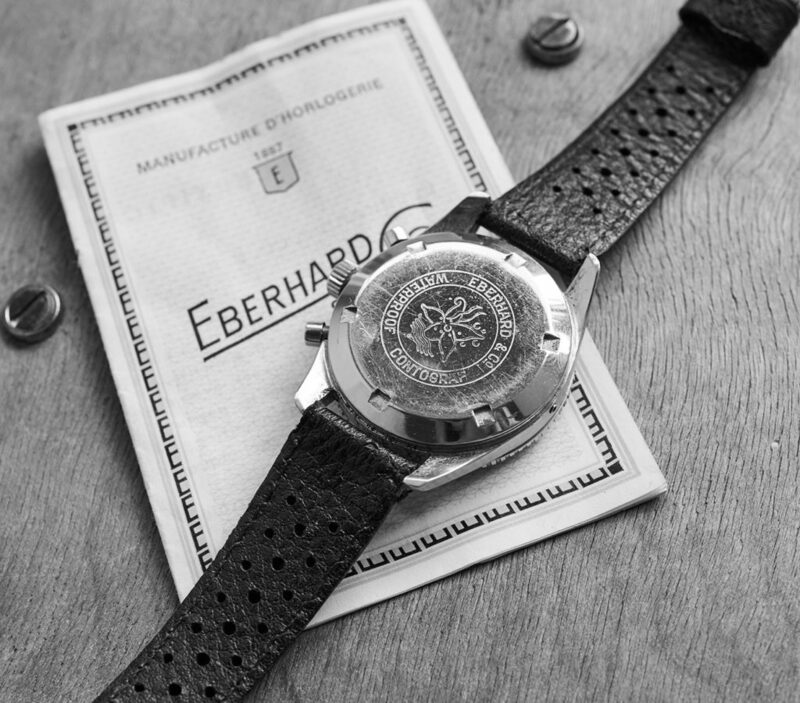 And as mentioned above it comes even with it´s original blank papers and box. 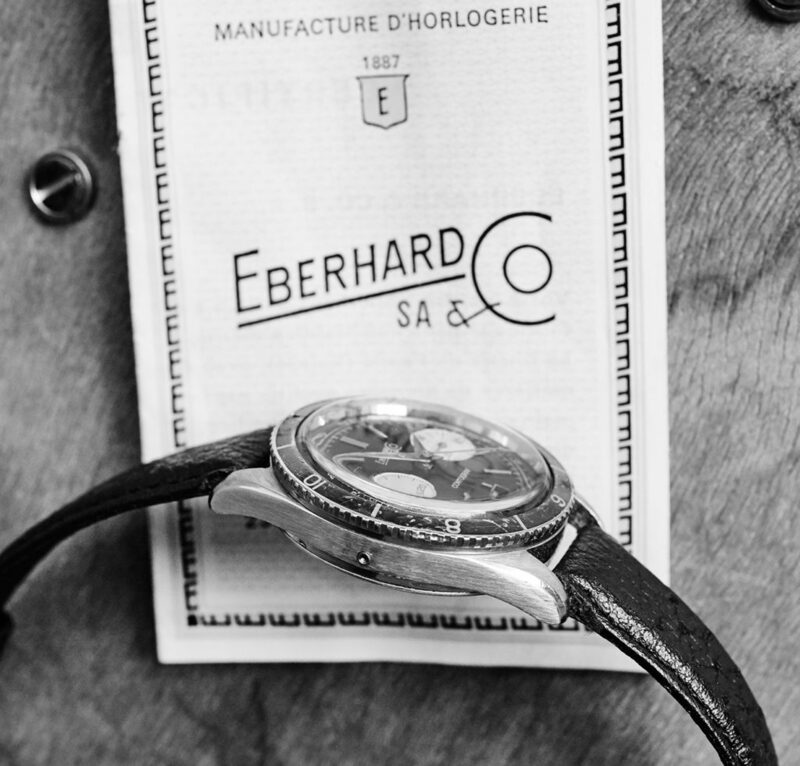 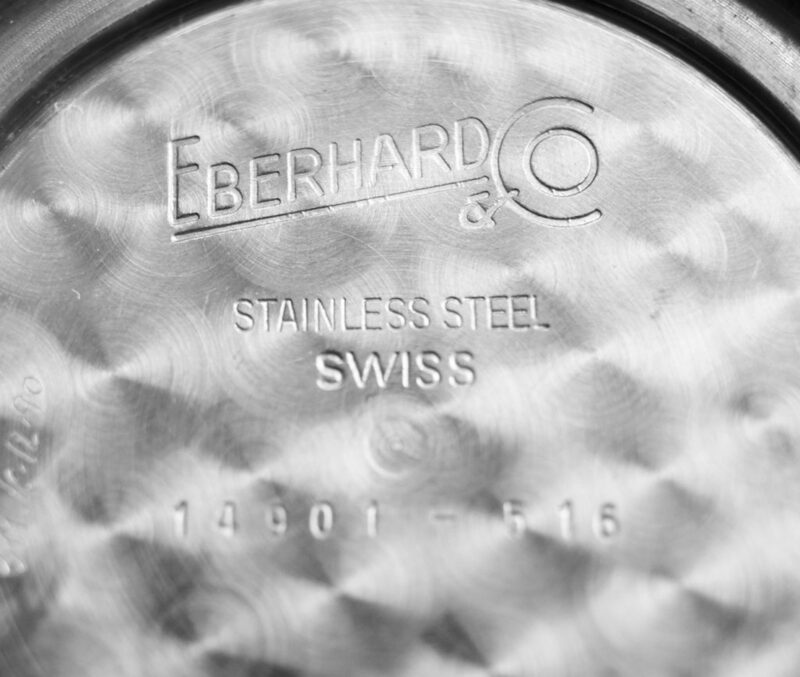 The Eberhard caliber 310.82 runs exactly and was checked on all functions before. 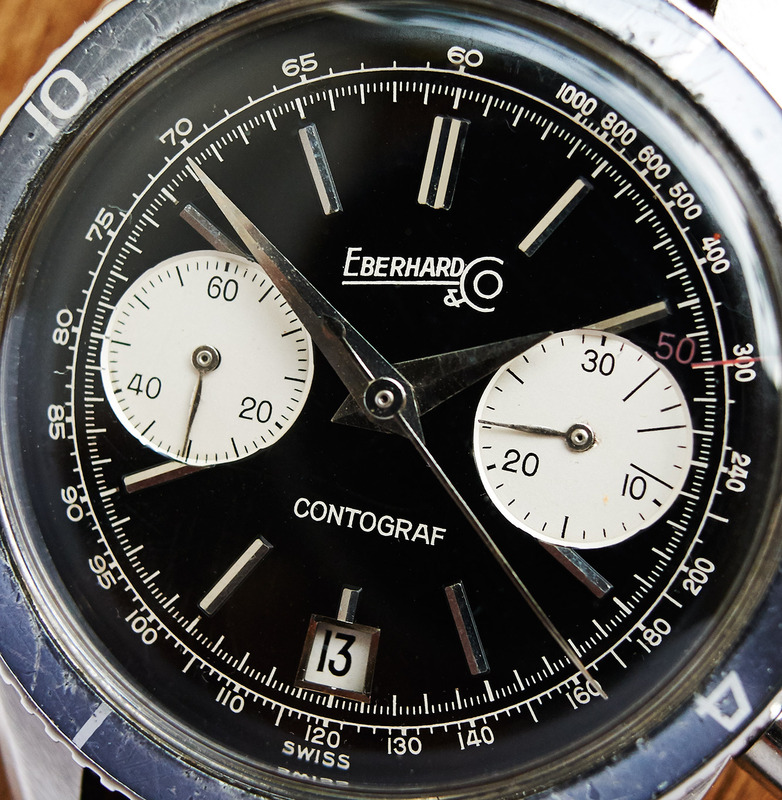 It comes on a black racing leatherstarp.